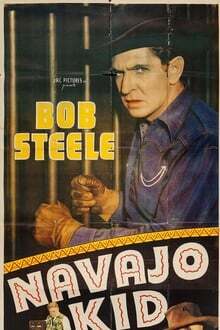 A B-Western hero since the late silent era, Bob Steele would hang up his spurs after a final four westerns for director Harry L. Fraser. 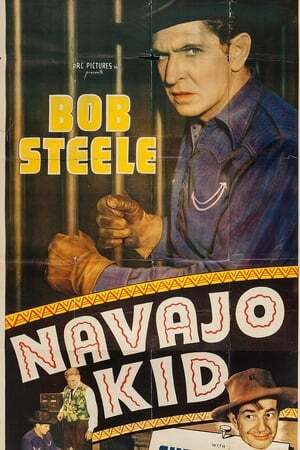 In the opener, The Navajo Kid, Steele, as he had so many times before, went in search of the villain, or villains, who murdered his foster-father and stole both ring and watch. The trail leads straight to Canyon City, Texas, and smooth cardsharp Honest John Grogan (I. Stanford Jolley), who is in possession of both the stolen items. But Grogan has an ironclad alibi for the time of the murder, an alibi confirmed by none other than Sheriff Roy Landon (Edward Cassidy). The Navajo Kid was produced independently by Arthur Alexander and Alfred Stern and released by PRC. Leading lady Caren Marsh had been Judy Garland's stand-in during the making of The Wizard of Oz (1939). We don't have any reviews for Navajo Kid. We don't have enough data to suggest any movies based on Navajo Kid. You can help by rating movies you've seen.